CLEAN handpiece with alcohol and a brush. Tooth brushes are fine. We prefer denture brushes due to the size. Just ensure debris is removed from outside of handpiece which would be baked on by the sterilization process. Once debris is removed, wipe down with paper towel to dry. Never place handpiece under running water. LUBRICATE handpiece with approved handpiece cleaner/lubricant only. Always place lubricant into air intake hole. Of course, many new handpieces have swivel connectors, and manufacturers have created adapters to ensure lubricant reaches the air intake. In this case, just follow manufacturers instructions. EVACUATE or expel all lubricant from handpiece by re-attaching handpiece to unit and running long enough to remove excess lubricant and/or debris which may have been lodged inside. This is a good time to explain some handpiece physics. When doctor releases air supply from handpiece to stop operation, a slight vacuum is created inside handpiece head. This slight vacuum tends to pull debris inside. Many handpieces are equipped to help prevent this, but the evacuate step is still very important to ensure no debris is left inside handpiece prior to sterilization. The lack of this step in your maintenance process could be the culprit causing premature turbine failure. 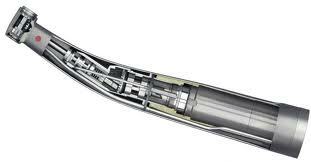 AUTOCLAVE or Sterilize handpiece. Although many new sterilization processes have been developed to provide the necessary infection and disease control, many still use autoclave to describe the process. Regardless of the method you use, ensure equipment is operating properly, and that supporting supplies used are appropriate for the unit. And remember, if using sterilization bags with paper on one side, always place in unit with paper side up to help in heat and moisture removal during the cool down process. REMOVE handpiece from sterilizer. While this step is obvious for most, it’s importance is in timing. Have someone designated to remove sterilized handpieces immediately following completion of cycle. Even though cycle is complete, the environment inside sterilizer could still be less than ideal. Remember, we are talking about slow, chronic weakening of turbine materials over time. Of course, we understand this is a lot to remember. That’s why we use the acronym CLEAR to help us remember. The importance is in the process, not in understanding all the why’s. Follow this method and be assured you are doing your best to care for this valuable tool. We enthusiastically recommend automatic handpiece maintenance/purge units which would, of course, eliminate steps 2 and 3. It’s easy to tell which offices use automatic purge units by how clean the handpiece interior is. We have observed the evolution of these units for the last 20 years. They are effective and efficient, saving time and money. Many dentists will see a dramatic reduction in repair costs. Lube Free does not mean maintenance free. Now that sealed ceramic bearings and lube free handpieces are becoming more prevalent, we see more handpieces come in due to chuck not retaining bur properly. See the button in the picture above? That’s typically the culprit. 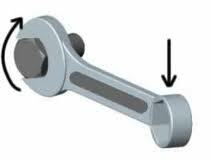 In a lubricated handpiece, some of the lubricant is expelled through the chuck during maintenance and serves to expel debris and lubricate chuck, keeping it functioning properly. However, in handpieces such as the Star Lube Free 430 swl and Solara which use sealed, pre-greased ceramic bearings, this activity is bypassed. But what about the handpiece chuck you ask? Awesome question! Any residue that gets sucked up in the vortex will get baked on in the sterilization process and literally varnish the handpiece chuck, soon limiting functionality and leading to the words you so hate to write “chuck won’t hold bur”. We’ve seen it many times, more so lately with the advent of lube free ceramic bearings. Remove bur and spray handpiece chuck with handpiece cleaner/lubricant. We like to use a handpiece control unit syringe here to spray into chuck and flush out debris. Pretty simple, don’t you think? Hey, nobody said this was particle physics. Although, particles may have been the problem. Star has a product called Junk-Out Chuck Cleaner which has the cleaner and brush described. Or, if you want, just take a look at DentalHandpieces.com/brushes. I think you might be amused by the brushes we use. We like them because the multiple sizes allow us to clean highspeed, lowspeeds, and anything in between. They also have multiple brands of cleaners which will work well for this application. Just try to find one with the little cone type applicator like the one pictured above. Doing this on a weekly basis, will prevent buildup and greatly enhance the life and functionality of the handpiece chuck. 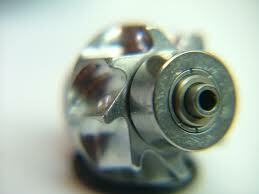 Every office that uses handpieces should have a regular handpiece chuck maintenance procedure. The Center For Disease Control strongly recommends heat or chemical sterilization of all instruments exposed to the bodily fluids of the patients they are used on. Responsible dental professionals take this recommendation very seriously, each doing their part to prevent the spread of blood born pathogens such as Auto Immune Deficiency Syndrome (AIDS) and Hepatitis C. The need for dental handpiece repair, in many cases, is a result of the daily exposure of dental handpieces to the sterilization, or autoclave, process which heats handpieces to 275 degrees Farenheit or 135 degrees Celsius for approximately 18 minutes. 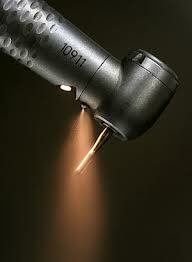 This exposure to heat, moisture, and in some cases chemicals reeks havoc on dental handpiece parts. Dental handpiece parts are varied and many. Components combined to create dental handpiece turbines include bearings, rotors, chucks, impellers, o-rings, springs, and washers. A typical dental turbine must spin at approximately 400,000 rpm to provide the cutting strength and torque required to prepare a tooth for the cavity filling. Considering the speeds encountered, dental turbines are very sensitive to parts becoming brittle and breaking, as rotating parts come in contact with the stationary handpiece head internals. Excessive vibration and friction are public enemy number one where dental handpiece parts are concerned. For those considering entering the dental handpiece repair business, formal and intensive dental handpiece repair training is strongly advised. Industry competition is fierce with dental offices constantly being flooded with flyers and offers for discounted repair services. Those repair professionals lucky enough to enter the industry before the flood are guarded, secretive, and territorial. Extensive training, thousands of dollars in dental handpieces repair parts, proprietary tooling, and extreme persistence are an absolute must. Dentists possessing the time and inclination can learn to perform dental handpiece repair on their respective brand handpieces with a little coaching from repair professionals willing to provide. Many dentists now rebuild their own highspeed handpiece turbines assisted by the various available presses, such as EZ Press, marketed by Handpiece Headquarters. Those not wishing to rebuild individual handpiece turbines can also opt to replace turbines themselves with minimal instruction. Simple tools such as the end cap removal tool, which typically comes with new handpieces, and explorer picks for replacing o-rings will do the trick. Both, manufacturers and repair professionals sometimes place dental handpiece repair training videos online describing in office replacement of popular dental handpiece turbines. Handpiece manufacturers are becoming more protective in ensuring handpieces are returned to them for repair. Handpieces are now being manufactured such that access to internals require proprietary dental handpiece repair tools. These tools are typically very expensive, protected, and limited in issue. Also, in many cases, this method of manufacture makes for a much more aesthetically pleasing look, with smoother lines, and fewer cracks and indentations which tend to create catch points for rubber gloves, as well as, hiding places for bacteria and contaminants. Of course, it will come as no surprise that German and Austrian companies have led the way, requiring more proprietary dental handpiece repair tools than all others combined. It seems engineering in this part of the world is in a league all its own. While we certainly have our favorites, all brands mentioned above are of very good quality. Kavo probably has the edge in our opinion. While dental handpiece repair on Kavo can be expensive, with proper care and maintenance they typically last longer between trips to the shop. NSK probably ranks second on our list. We especially appreciate the NSK high speed handpieces, which employ very high quality canister type dental turbines. These are easily replaced chairside without the need for an explorer pick to replace o-rings. In concluding this article, we feel it is imperative to disclose our affiliation. 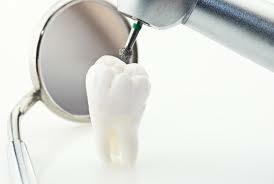 We have been in the business of dental handpiece repair for over 19 years now. We feel it is a very rewarding field. While we would not encourage anyone to enter this business without great trepidation, we feel there is certainly room for more dental handpiece repair professionals willing to provide great service to a group of 100 or so local dentists in this niche. We would also recommend that those considering dental handpiece repair, not depend on it as their sole source of income. At least to start. Dentists are encouraged to take the time to learn basic handpiece repair, as this knowledge also helps in training staff to care for handpieces more effectively. Turbine replacement is certainly encouraged, as this skill alone can save hundreds throughout the year for the busy modern practice. Hello I am looking for information on maintenance, lubrication and sterilization of W & H Contra Angles, Midwest contra angles, High Speed, and Slow Speed handpieces. Thank you! My first recommendation would be to get a purge unit, if you can talk the Dr. into it. These things can save you a ton of trouble and handpiece repairs. They are expensive up front, but will pay for themselves in the long run. I believe W&H makes the Assistina which is compatible with their brand, as well as others. You can get adaptors to fit the Midwest handpieces also. For manual lubrication, give a couple of drops into the air intake hole of the Midwest low speed motors and the RDH. For W&H contra angles, as well as Midwest attachments, remove them from the motor and put a couple of drops into the back end. Then, put the contra angle back on and run handpiece for about 30 seconds. Air exiting the low speed motor helps force lube up through the contra angle. Lubricate the W&H contra angles and handpieces in the same way. Lubricate via the air intake hole on motors and highspeeds, backend in contra angles. If you have swivel handpieces, W&H has an adaptor and lubricant available to fit the backend. If you don’t have that, just remove the swivel coupler from your unit, put a couple of drops of lube in the air intake hole (it’s the smaller of the two larger holes). Put coupler back on unit, attach handpiece, and run for about 30 seconds to ensure excess lube and debris are expelled, then autoclave as usual. As far as sterilization goes, we think the CLEAR method at HandpieceStore.com is relatively comprehensive. I hope this helps. However, my best advice was at the beginning. Automatic handpiece purge units pay for themselves over time. We have seen this time and again by the reduction in our repair rates for offices who purchase one. There are several brands to choose from. Kavo Quattrocare is probably best. Several other good ones to choose from. Check the link to them from HandpieceStore.com. Also check DentalHandpieces.com for more W&H contra angles and Midwest handpiece maintenance information.